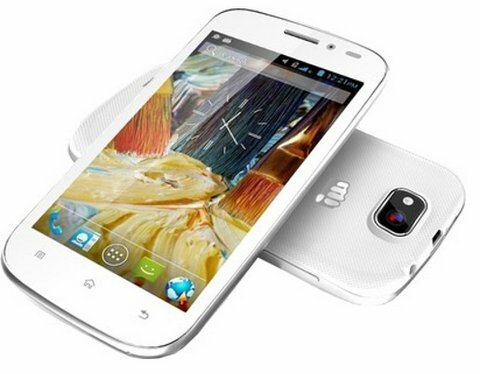 Micromax A71, the company’s latest smartphone with entry level specs has been spotted on Flipkart. It is the downgraded version of Micromax Canvas Viva that was launched last year. The A71 runs on Android 4.1 OS and gains the strength from 1.2GHz quad core processor paired with 512MB of RAM. It has 5 inch display with 480 x 800 pixels display. It is capable of recording 720P hd videos at 30 fps. The A71 has DUAL SIM Support and houses 2000mAh battery that claims up to 5 hours of talk time. The Micromax A 71 packs with a 2MP rear camera with flash and a VGA front camera. It offers 3G, WiFi, Fm radio, Bluetooth and micro USB connectivity. Micromax A71 has 512MB of internal storage and further expandability via micro SD card up to 32GB. It is 10mm thick , not as slim as the new Lava Iris Pro 30 is. It is priced at RS 6,750 and comes in white color. You can buy it from Flipkart. Micromax YU YU5050 specs leaked and could be priced under 26K Celkon A9 Dual announced, an entry level phone Micromax Canvas LAPTAB announced – Dual Boot Android & Windows Micromax Canvas TAB P650E and Funbook Mini P410i goes on sale under 9k Micromax Bolt A47 available online for INR 4,699 Micromax Funbook P410 Mini launched, 1GB RAM, Dual SIM at Inexpensive Price Micromax Canvas Gold A300 with Android 4.4 : Price & Specs Micromax A110Q Canvas 2 Plus 5inch Quad core Launched at Price of RS 11999 .